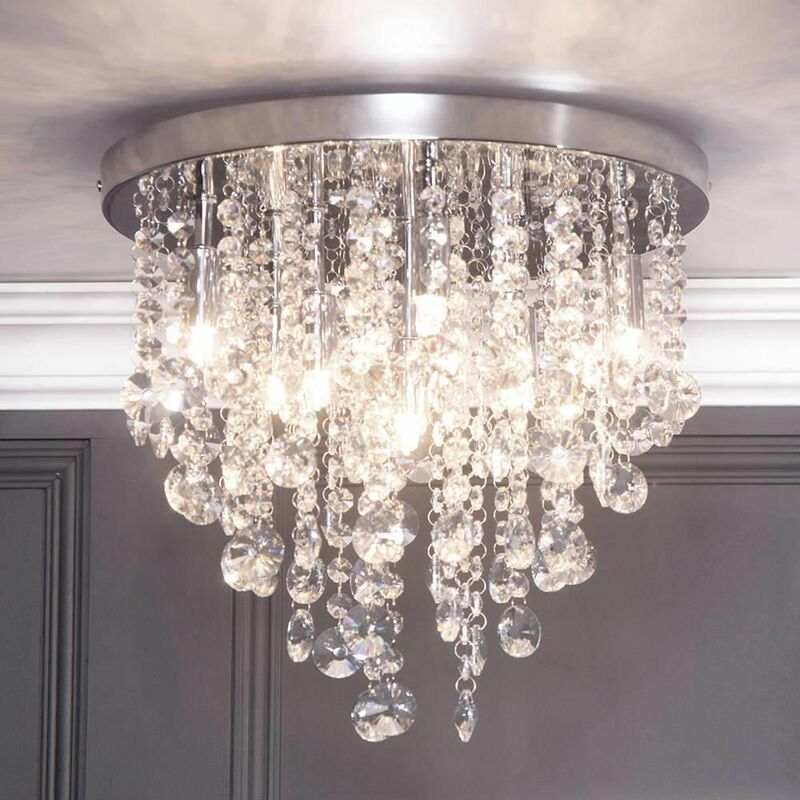 This showstopping semi flush ceiling light will bring your home to life with an array of sparkling crystal effect pendants. Each pendant cascades from a chrome ceiling plate illuminated by 9 bright halogen lights. The Montego ceiling light is perfectly suited for living rooms, dining spaces and bedrooms. 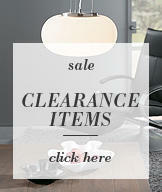 Place it in the centre of a room to create a dazzling centrepiece. 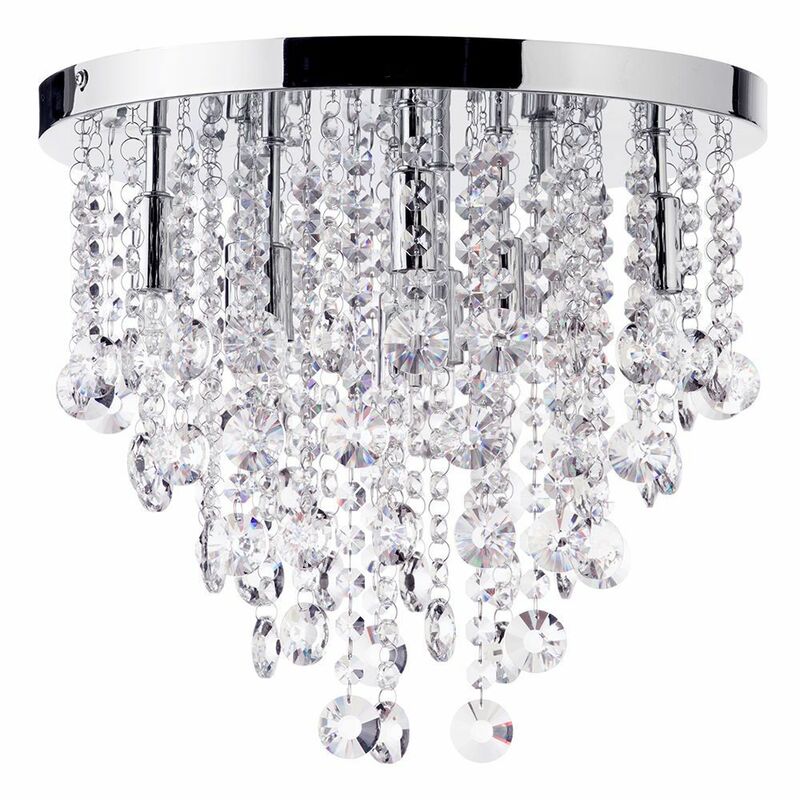 Our matching Montego chrome and crystal effect wall light will complete the look. Q: Please can you confirm if the crystals are glass or acrylic on the Fontaine and Montego light fittings. Also, if multiple fittings are purchased, is there any discount. Thankyou. A: The crsytals on this unit are K9 glass.